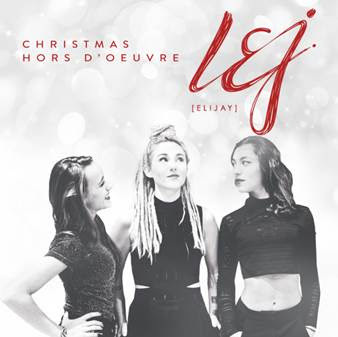 Today, classically-driven French pop trio L.E.J. [Elijay] release their mannequin challenge inspired holiday video for “Game Of Bells”, a modern take of the classic “Carol of the Bells” set to the tune of the Game of Thrones theme song. The song is from their recently released holiday EP, Christmas Hors D’oeuvre [Republic Records], available now at all digital retailers. Watch the Video for Game of Bells” HERE. Get the Christmas Hors D’oeuvre EP HERE. It’s the perfect soundtrack to the holiday season! The three childhood friends, Lucie, Elisa, and Juliette garnered a deep understanding of classical music and orchestration while attending conservatory in their native France together. They added that depth to pop music on 2016’s En attendant l’album by reimagining some of the biggest smashes in recent memory with a backdrop of cello and organic percussion. Following the international success of the breakthrough online hit “Summer 2015,” L.E.J.opened up for Pharrell and sold 200,000 albums in less than three months.